oh i love going shopping. some great items here.i think i like the brown wedge heels the most. personally, i would keep them all! the brown wedges are gorgeous! looks like you picked up some great pieces!! they all look so cute on you. you just have to go on a fast for the rest of the month b/c those things need to stay in your closet!! I love everything that you purchased!! The Metallic heels are oh-so fun, and the belt is beautiful! Great buys! So worth it. I am in love with the cork wedges and fab blue dress! That's a tough choice...I think if you absolutely have to, you should take back the orange dress (the color is so on trend but the other two dresses just look so insanely lovely on you that I wouldn't part with them). 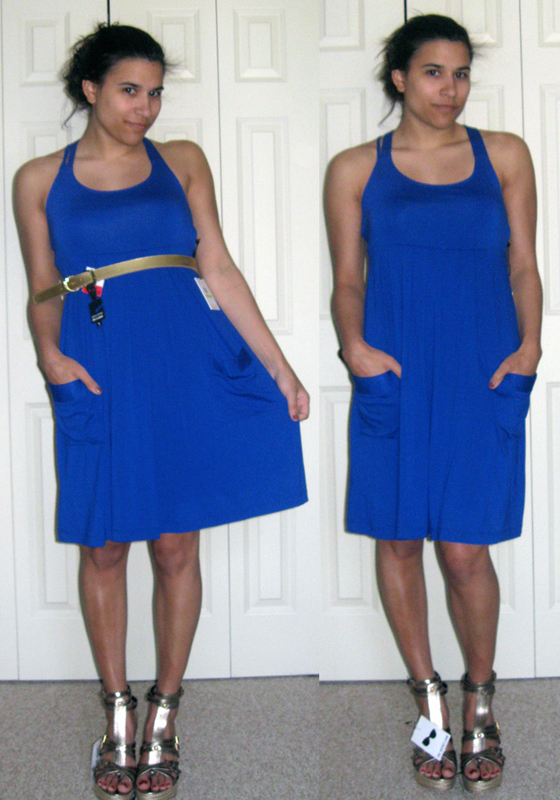 I love the blue dress and the brown wedges - don't return either of those!! I know what you mean though, i do this often. Buy more than I should, but don't have the heart to bring things back. Quite frankly, I do like all of your purchases. It's just about how much wear you can get out of them. I LOVE all the shoes!! So perfect for spring. Ooo, lots of shopping here! Hmm...I wouldn't return a thing if you really like them, but then again, consider your budget! The blue dress looks great! I really love all the shoes!! And the bright dresses are going to be key elements of your summer wardrobe, so I guess if you were going to return something, I would say the black and grey dress. I loved the gray sandals!!!! 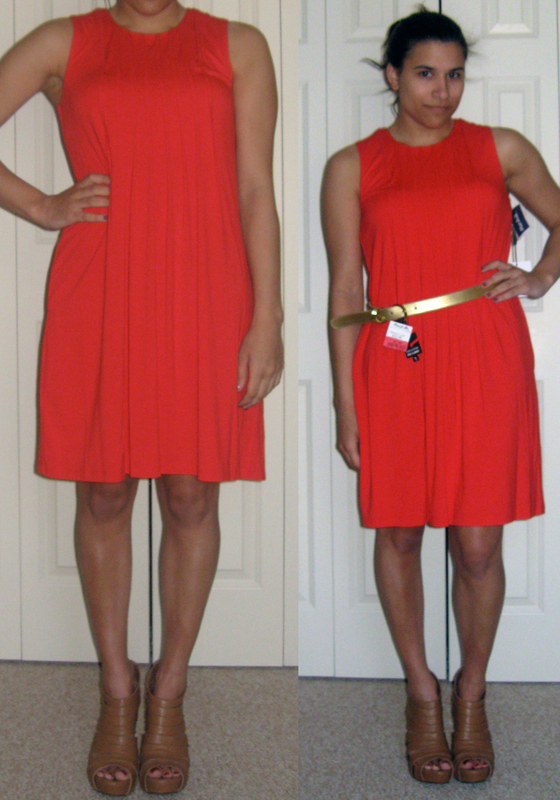 I love that bright orange dress and gold belt! LOVE your spring shoe choices! Hot picks shoe lover! I love every single one of those pairs of shoes! I wouldn't know which shoes to pick either! Umm, maybe the grey pair? They're the most unique imo. Great finds! Those Burberry shoes are a major score! i love that bright blue dresssss!!! LOVING all of these shoes! And omg to the Burberry sale, what an incredible bargain! I would not return anything but if you MUST...then the Cynthia Rowley dress since the other look look SO good on you! But seriously...wouldn't be returning anything and just survive the month somehow haha! I am in love with all the shoes. In loooove. They're all perffect! OMG I am obsessed with those wedges! !